1.1 If you choose to use BestCities.org (the “Site”), any of the site’s features, you will be agreeing to abide by all of the terms and conditions of these Terms of Service between you and BestCities.org and parent company Resonance Consultancy (“us” or “we”). 1.3 If any of these rules or future changes are unacceptable to you, you may cancel your subscription by logging into your account and canceling your subscription. 2.1 The contents of the Services, including the Site, are intended for your personal, noncommercial use. All materials published on the Services (including, but not limited to news articles, photographs, images, illustrations, audio clips and video clips, also known as the “Content”) are protected by copyright, and owned or controlled by BestCities.org or the party credited as the provider of the Content. You shall abide by all additional copyright notices, information, or restrictions contained in any Content accessed through the Service. 2.2 The Services and Contents are protected by copyright pursuant to U.S. and international copyright laws. You may not duplicate, copy, modify, publish, transmit, participate in the transfer or sale of, sell, resell, reproduce (except as provided in Section 2.3 of these Terms of Service), create new works from, distribute, perform, display, or in any way exploit, any of the Content or the Services (including software) in whole or in part. 2.3 You may download or copy the Content and other downloadable items displayed on the Services for personal use only, provided that you maintain all copyright and other notices contained therein. Copying or storing of any Content for other than personal use is expressly prohibited without prior written permission from BestCities.org, or the copyright holder identified in the copyright notice contained in the Content. 2.4 The Content of the Services is owned or licensed to BestCities.org. Certain Content is furnished by BestCities.org’s partners, which will not be liable for any delays, inaccuracies, errors or omissions in any such Content, or in the transmission or delivery of all or any part thereof, or for any damages arising therefrom. BestCities.org reserves the right to refuse subscribers or users access to the site if they threaten or verbally abuse other site users or content authors. Site access may also be revoked if you use defamatory language, deliberately disrupt discussions with repetitive messages, meaningless messages or “spam”; or if you use language that abuses or discriminates on the basis of race, religion, nationality, gender, sexual preference, age, region, disability, etc. 3.2 The Services shall be used only in a noncommercial manner. You shall not, without the express approval of BestCities.org, distribute or otherwise publish any material containing any solicitation of funds, advertising or solicitation for goods or services. 3.3 You acknowledge that any submissions you make to the Services (i.e., user-generated content including but not limited to: comments, forum messages, reviews, text, video, audio and photographs, as well as computer code and applications) (each, a “Submission”) may be edited, removed, modified, published, transmitted, and displayed by BestCities.org and you waive any rights you may have in having the material altered or changed in a manner not agreeable to you. Submissions made to the Services may also be included in our RSS feeds, APIs and made available for republishing through other formats. 3.4 You grant BestCities.org a perpetual, nonexclusive, world-wide, royalty free, sub-licensable license to the Submissions, which includes without limitation the right for BestCities.org or any third party it designates, to use, copy, transmit, excerpt, publish, distribute, publicly display, publicly perform, create derivative works of, host, index, cache, tag, encode, modify and adapt (including without limitation the right to adapt to streaming, downloading, broadcast, mobile, digital, thumbnail, scanning or other technologies) in any form or media now known or hereinafter developed, any Submission posted by you on or to the Services or any other Web site owned by BestCities.org and/ parent company Resonance Consultancy, including any Submission posted on or to the Services through a third party. 3.5 You are solely responsible for the content of your Submissions. 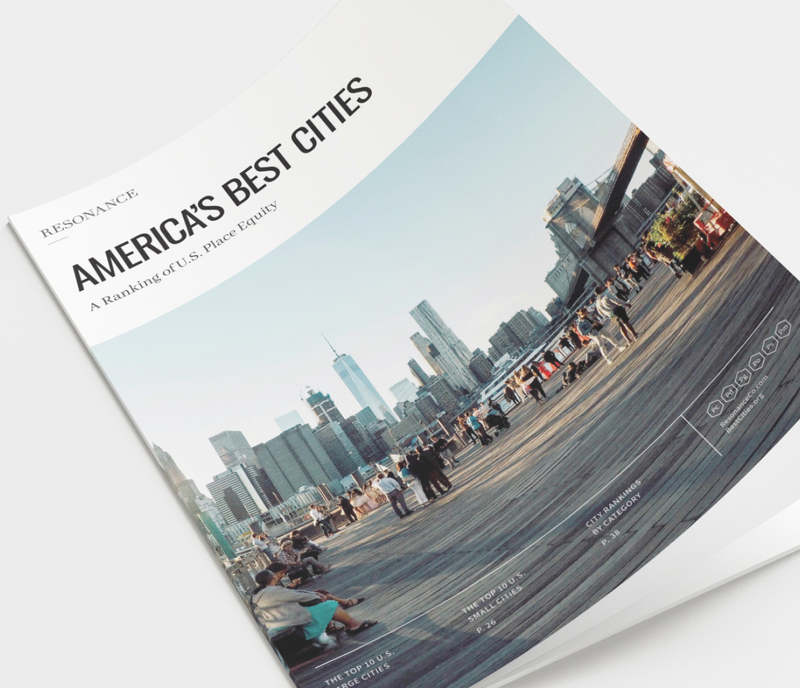 However, while BestCities.org does not and cannot review every Submission and is not responsible for the content of these messages, BestCities.org reserves the right to delete, move, or edit Submissions that it, in its sole discretion, deems abusive, defamatory, obscene, in violation of copyright or trademark laws, or otherwise unacceptable. 5.1 You represent, warrant and covenant (a) that no materials of any kind submitted through your account will (i) violate, plagiarize, or infringe upon the rights of any third party, including copyright, trademark, privacy or other personal or proprietary rights; or (ii) contain libelous or otherwise unlawful material; and (b) that you are at least thirteen years old. 5.2 The site and its contents may contain inaccuracies and typographical errors. 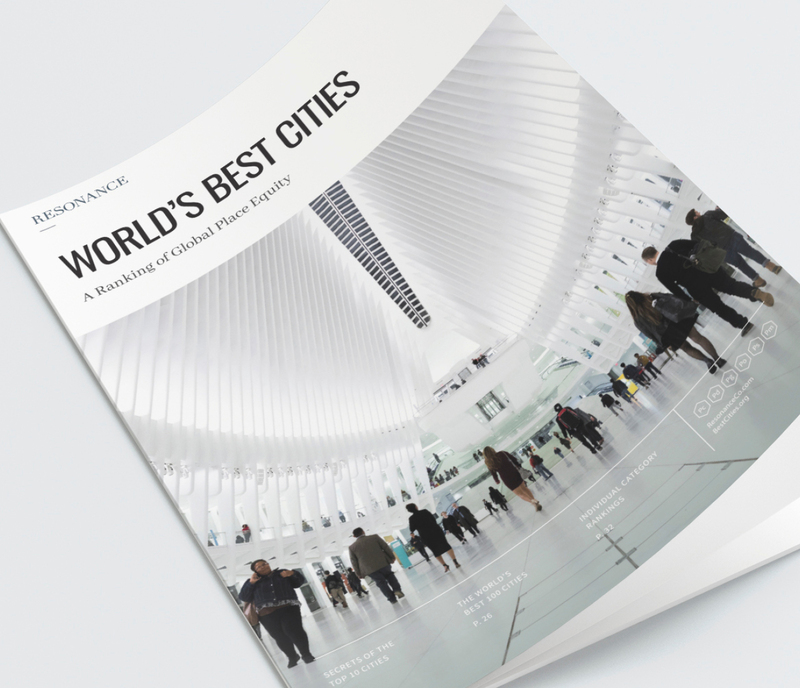 BestCities.org does not warrant the accuracy or completeness of the materials or the reliability of any advice, opinion, statement or other information displayed or distributed through the site. You acknowledge that any reliance on any information on the site shall be at your sole risk. Under no circumstances will bescities.Org be liable for any loss or direct, indirect, punitive, special or consequential damages caused by your reliance on this information. BestCities.org reserves the right, in its sole discretion, to correct any errors or omissions in any portion of the site. BestCities.org may make any other changes to the site at any time without notice. 5.3 BestCities.org does not make any warranty that your use of this site or the information on the site will be uninterrupted, timely, secure or error free, or that defects, if any, will be corrected. BestCities.org assumes no responsibility for any damages that may be suffered by you, including, but not limited to, losses from delays, non-deliveries of content or any communications, errors, system down time, mis-deliveries or miscommunications, databreaches, network or system outages, file corruption, viruses, or service interruptions caused by or suffered by BestCities.org, or your own errors and/or omissions. The site, the information and materials on the site, and any software made available on the site, are provided“as is”, “as available”, and on a “with all faults” basis and without any representation or warranty, express or implied, of any kind, including, but not limited to, warranties of merchantability, non-infringement, or fitness for any particular purpose. To the fullest extent permissible by law, neither BestCities.org nor any of its employees, directors, officers, and agents make any representations or warranties of any kind whatsoever, express or implied, as to: (a) the site; (b) materials on the site; (c) content submitted to the site; and/or (d) security associated with the transmission of information to BestCities.org via the site. You agree that your use of the site is at your sole risk. Some jurisdictions do not allow for the exclusion of implied warranties, so the above exclusions may not apply to you. 5.4 Under no circumstances will BestCities.org, its employees, directors, officers, or agents be liable to you for any loss or damages of any kind (including, without limitation, for any direct, indirect, economic, exemplary, special, punitive, incidental or consequential losses or damages that are directly or indirectly related to: (a) the site; (b) the materials on the site; (c) content submitted to the site; (d) your use of, inability to use, or the performance of the site; (e) any action taken in connection with an investigation by BestCities.org or law enforcement authorities regarding your use of the site; (f) any action taken in connection with copyright or other intellectual property owners; (g) any errors or omissions in the site’s technical operation; or (h) any damage to any user’s computer, mobiledevice, or other equipment or technology including, without limitation, damage from any security breach or from any virus, bugs, tampering, fraud, error, omission, interruption, defect, delay in operation or transmission, computer line or network failure or any other technical or other malfunction, including, without limitation, damages for lost profits, loss of goodwill, loss of data, work stoppage, accuracy of results, or computer failure or malfunction, even if foreseeable or even if BestCities.org has been advised of or should have known of the possibility of such damages, whether in an action of contract, negligence, strict liability or tort (including, without limitation, whether caused in whole or in part by negligence, acts of god, telecommunications failure, or theft or destruction of the site). In no event will BestCities.org be liable to you or anyone else for loss, damage or injury, including, without limitation, death or personal injury. 5.5 You hereby indemnify, defend and hold harmless BestCities.org and all officers, directors, owners, agents, information providers, affiliates, licensors and licensees (collectively, the “Indemnified Parties”) from and against any and all liability and costs, including, without limitation, reasonable attorneys’ fees, incurred by the Indemnified Parties in connection with any claim arising out of any breach by you or any user of your account of these Terms of Service or the foregoing representations, warranties and covenants. You shall cooperate as fully as reasonably required in the defense of any such claim. BestCities.org reserves the right, at its own expense, to assume the exclusive defense and control of any matter subject to indemnification by you. 6.1 As part of the donation or account creation process, you will create login credentials by selecting a password and providing an e-mail address. You also have to give us certain registration information, all of which must be accurate and updated. Each registration is for a single user only. You are not allowed to share your registration login credentials or give your login credentials to anyone else. You are responsible for maintaining the confidentiality of your password, which you will not have to reveal to any representative or agent of BestCities.org. You may not (i) select or use the login credentials of another person with the intent to impersonate that person; (ii) use login credentials in which another person has rights without such person’s authorization; or (iii) use login credentials that we, in our sole discretion, deem offensive. Failure to comply with the foregoing shall constitute a breach of these Terms of Service, which may result in immediate suspense or termination of your account. 6.2 Please notify info@bestcities.org of any known or suspected unauthorized use(s) of your account, or any known or suspected breach of security, including loss, theft, or unauthorized disclosure of your password or credit card information. 6.4 You are responsible for all usage or activity on your BestCities.org account, including use of the account by any third party authorized by you to use your login credentials. Any fraudulent, abusive, or otherwise illegal activity may be grounds for termination of your account, at our sole discretion, and we may refer you to appropriate law enforcement agencies. 8.2 BestCities.org reserves the right to send electronic mail to you for the purpose of informing you of changes or additions to the Service. 8.4 BestCities.org may contact you via e-mail regarding your participation in user surveys, asking for feedback on current Services or prospective products and services. This information will be used to improve the Services and better understand our users, and any information we obtain in such surveys will not be shared with third parties, except in aggregate form. 8.5 BestCities.org may also contact you regarding sweepstakes, contests, raffles or similar promotions (collectively, “Promotions”) made available through the Site. These Promotions are governed by specific rules that are separate from these Terms of Service. We note that you should review the specific rules for a particular Promotion to determine whether you are eligible to participate in such Promotion. 9.1 You may terminate your account at any time by logging you’re your account and canceling your subscription. 9.2 BestCities.org may, in its sole discretion, terminate or suspend your access to all or part of the Services for any reason, including, without limitation, breach or assignment of these Terms of Service. 10.1 You agree that, by using the site and thereby agreeing to these terms of service, you and BestCities.org are each waiving the right to a trial by jury or to participate in a class action. All claims arising under or relating to these Terms of Service or the Site must be brought in the parties’ individual capacity, and not as a plaintiff or class member in any purported class or representative proceeding. All disputes arising under or relating to these Terms of Service shall be settled by arbitration administered by the American Arbitration Association, as amended by these Terms of Service. The procedures of the American Arbitration Association are available online at www.adr.org. Under California Civil Code Section 1789.3, California users are entitled to the following consumer rights notice: If you have a question or complaint regarding the Site, please send an e-mail to info@bestcities.org. California residents may reach the Complaint Assistance Unit of the Division of Consumer Services of the California Department of Consumer Affairs by mail at 1625 North Market Blvd., Sacramento, CA 95834, or by telephone at (916) 445-1254 or (800) 952-5210. 12.1 These Terms of Service have been made in and shall be construed and enforced in accordance with the laws of the Province of British Columbia. Any action to enforce these Terms of Service shall be brought in the federal or state courts located in British Columbia. 12.2 The Site is controlled, operated and administered by Resonance Consultancy from its offices within the United States and Canada. Access to the Site from jurisdictions where its contents are illegal is prohibited. By using the Site, you agree to transmit your personal information and to the storage of your personal information in the United States. 12.3 Correspondence or notice under these Terms of Service should be sent to info@bestcities.org. 12.4 You agree to report any copyright violations of the Terms of Service to BestCities.org as soon as you become aware of them. In the event you have a claim of copyright infringement with respect to material that is contained in BestCities.org service, please notify info@bestcities.org.